The Iron Islands is one of the constituent regions of the Seven Kingdoms. Until Aegon's Conquest, it was ruled by the Kings of the Iron Islands and then briefly the Kings of the Isles and the Rivers. 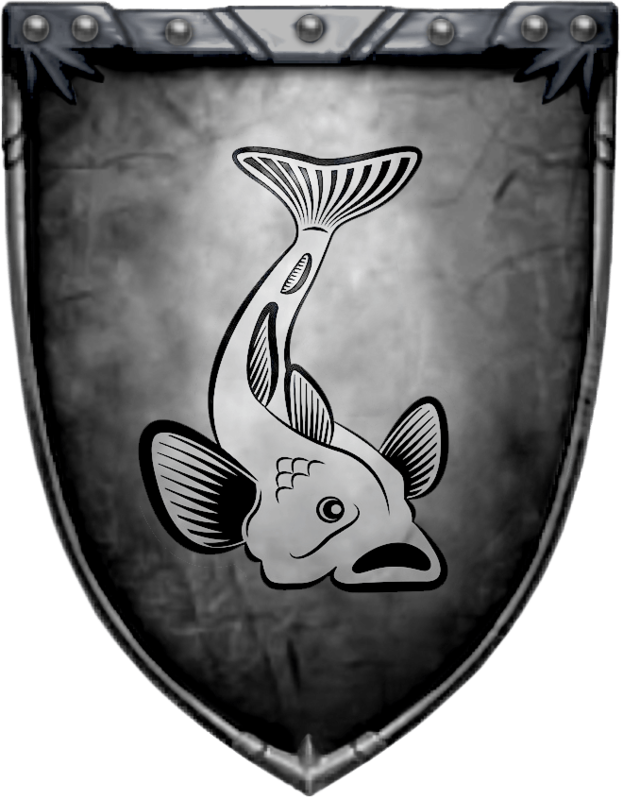 Pyke: Pyke is the name of both the seat of House Greyjoy and the island it sits upon. The land on which the castle was built once jutted out from the rest of the island like a sword raised in challenge, but time and the unceasing surf have long since sent much of the rock to the bottom of Ironman’s Bay, taking the majority of the keep with it. Pyke Castle: Pyke is an old and proud structure that refuses to give in to the effects of time, despite the almost constant battering of the elements that surround it. The keep was built from the same grey-black stone composing the rest of the island, and in the thousands of years the keep has stood, it has become as much a part of the landscape as the jagged cliffs surrounding it. 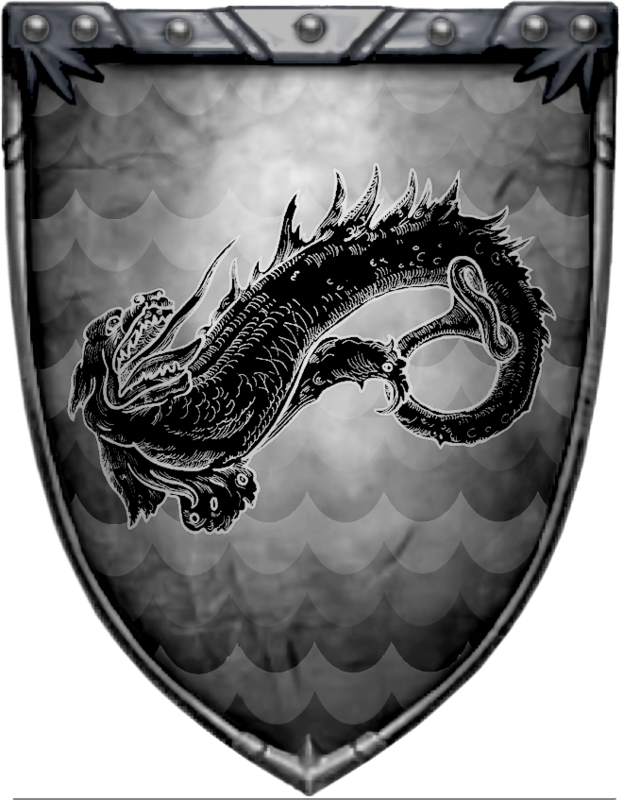 Old Wyk: Of all the Iron Islands, Old Wyk is considered the holiest, for it was there the Grey King slew the sea dragon Nagga during the Age of Heroes. The legends say the Drowned God himself turned the beast’s bones into stone, and the Grey King used it as a great hall. Now, thousands of years later, the only remnants of the structure are the forty-four stone ribs the size of trees jutting from the top of a hill. The Grey King’s hall is also known as the place of the Iron Islands’ kingsmoots. Hills make up much of the land on Old Wyk, and cruel, black mountains reside on much of what remains. Yet, at least three houses call the island home: the Stonehouses, the Goodbrothers of Shatterstone, and the Drumms. 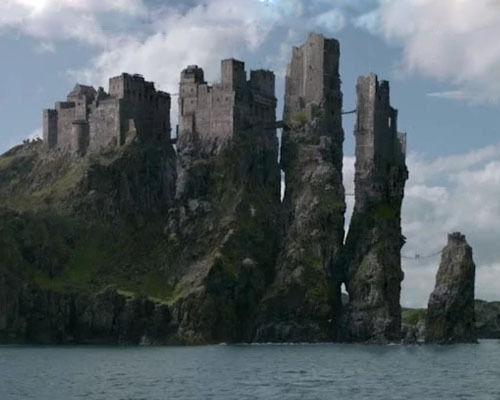 Great Wyk: Great Wyk is the largest of the Iron Islands, vast enough that the lands of some of the lords who call it home do not actually reach the sea. Harlaw: Second in size only to Great Wyk, Harlaw is distinguished from the other islands for being both the wealthiest and most densely populated. 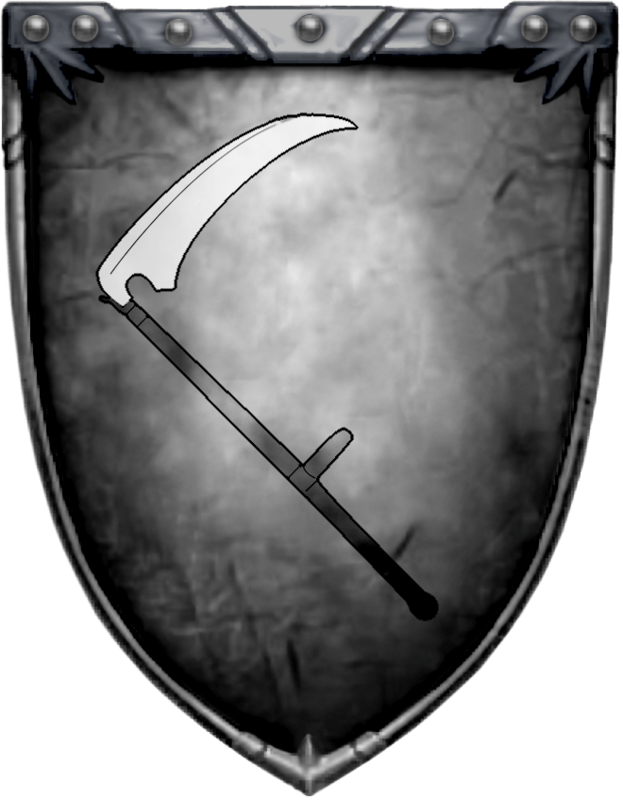 It is also the seat of House Harlaw, one of the only families that rival the Greyjoys in strength and influence. The inhabitants of these harsh isles are known as ironmen, especially by the rest of Westeros, but they also call themselves the ironborn. The ironborn are a seafaring people, and some do not like to be far from the sea. The Drowned Priests of the ironborn likewise seldom stray far from the sea. The ironborn are considered independent, fierce and sometimes cruel. The ironborn live in a harsh land and hold no love for the peoples of the mainland Westeros, whom they consider green and weak. The Faith of the Seven of the Andals and the old gods find small favor with the ironborn, as their allegiance is given to their native Drowned God. Because of the scarcity of the Faith, there are few knights in the islands. Most ironmen believe in returning to the Old Way of reaving and paying the iron price. 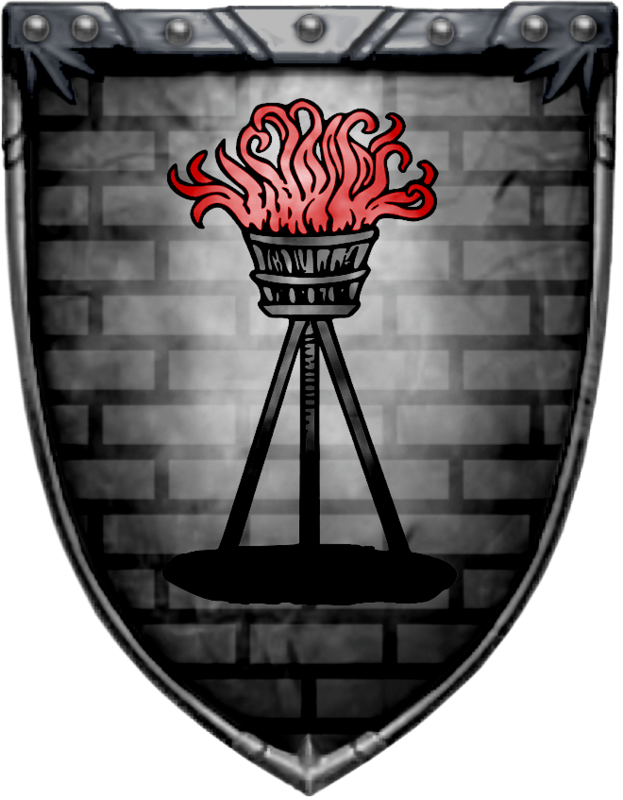 Some Heads of House in the Iron Islands do not use the title "lord", but are referred to only by their house name, such as "the Greyjoy", "the Sparr" and "the Stonehouse". Those who hold less to the Old Ways tend to style themselves "Lord" in the manner of the green lands of mainland Westeros. 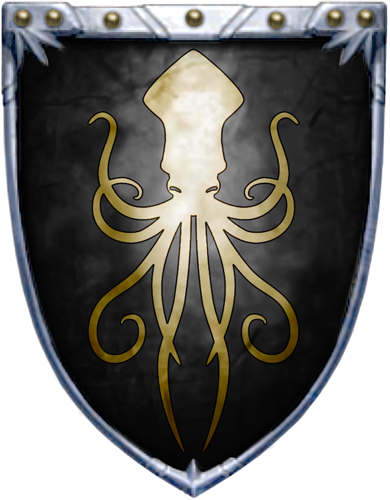 The Greyjoys have served as lords of the Iron Islands since Vickon Greyjoy was elected from among his fellow ironborn in the time of Aegon the Conqueror. Dalton Greyjoy, the ironmen’s current leader, is a formidable sellsail. He is loved by his men, not so much his women, as he grows tired of any relationship quickly. Dalton wields the valyrian steel sword, Nightfall. His ship is named after the name his men gave him on one of his first raids, The Red Kraken. It is a warship like no other in Westeros and its black sails with a blood red kraken emblazoned on them strike fear wherever it may be seen on the seas of the Known World. Their sigil is a golden kraken on black. The Head of House's ship is known as Nightflyer. 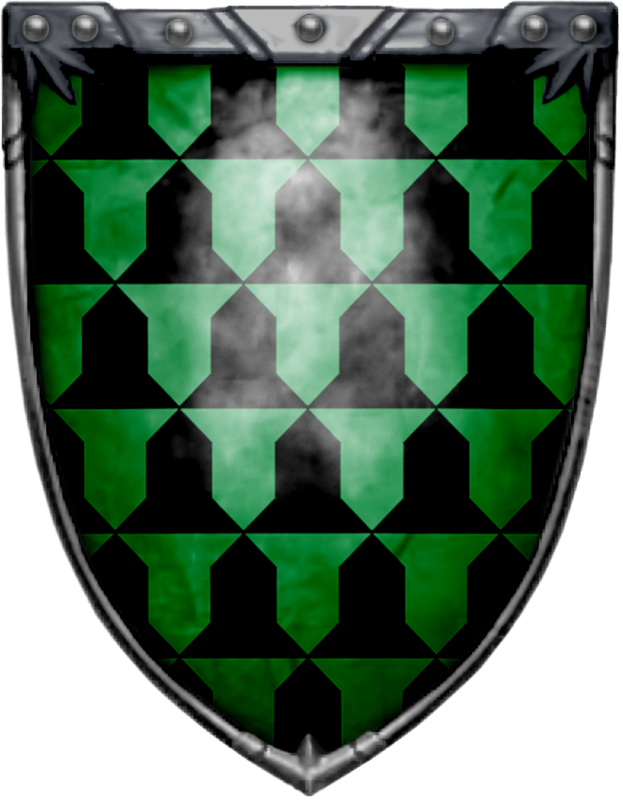 Their sigil is a vairy, green and black. 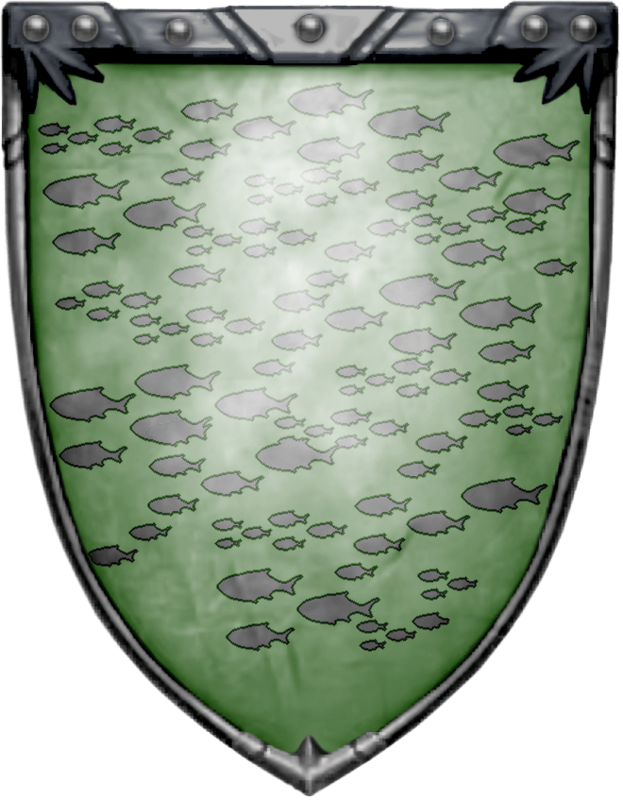 Their sigil is a school of silver fish on pale green. The Codds are a proud family who have taken a low opinion their fellow Ironborn hold of them and incorporated it into their motto. Its warriors are known for fighting with nets. Their sigil is a silver codfish on black. A valyrian steel sword called Red Rain is passed from head of house to the heir of House Drumm. 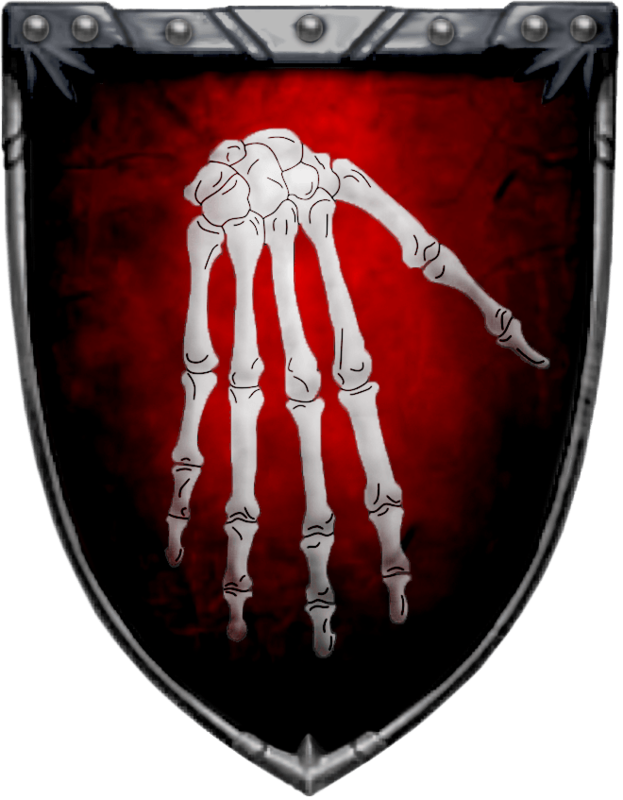 Their sigil is a white, skeletal hand on a field of red. 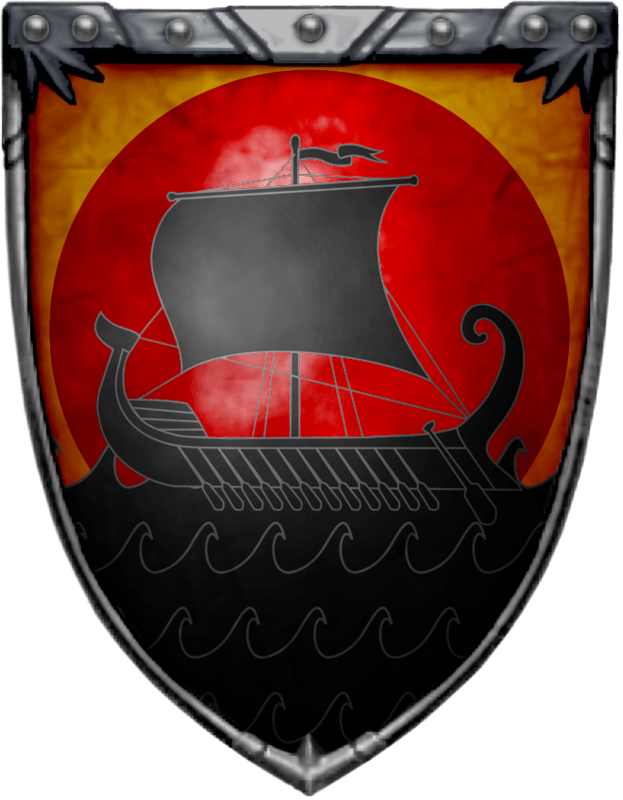 Their sigil is a per fess - below a black sea with a crested line, a black longship, outlined against a red setting sun on orange. A large family with a number of lesser branches, House Goodbrother has a presence on most of the Islands. The main branch is the Goodbrothers of Hammerhorn, found on Great Wyk, about six leagues from the shore. The castle is a hulking structure, dark and brooding, and is fashioned from great stone blocks quarried from the cliffs behind it. Beneath its walls, one can find mines and caves, each yawning like toothless mouths. 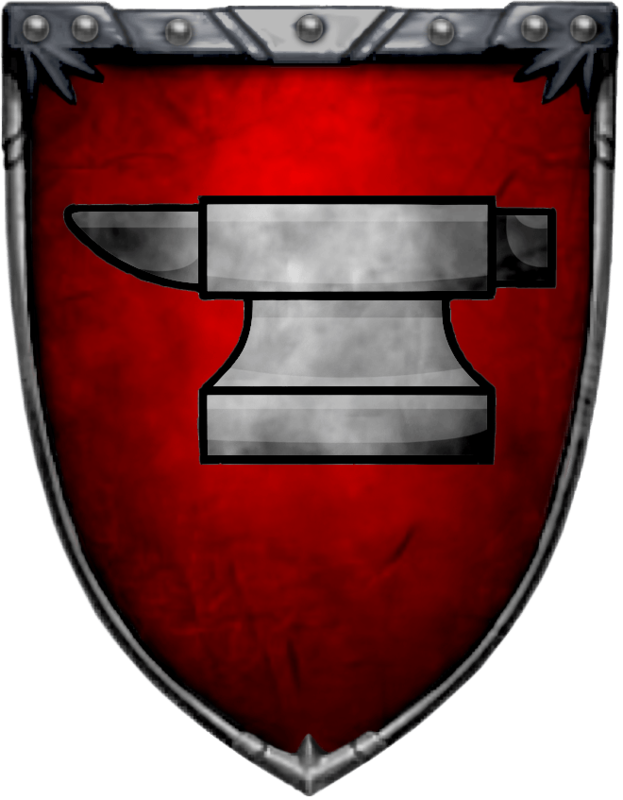 Their sigil is a black warhorn with a band of gold on a field of red. The head of the house is captain of the longship, Sea Song. The valyrian blade, Nightfall, is also in the possession of a Harlaw. After Greyjoy, the Harlaws are perhaps one of the most influential houses in the Iron Islands. Their sigil is a silver scythe on black. 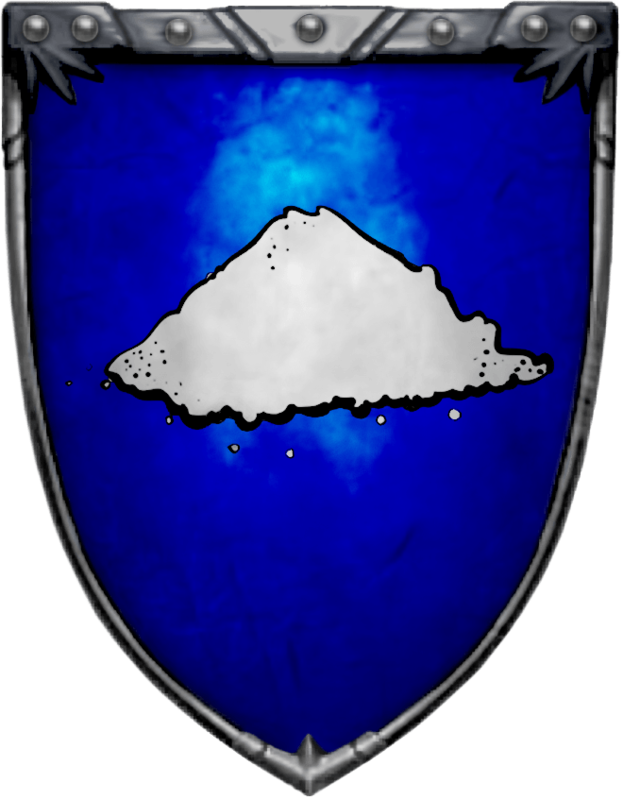 Their sigil is a pile of salt on a blue background. The Ironmaker line is known to be very boy heavy, it has been generations since a girl was born to the line. Their sigil is an anvil on red. 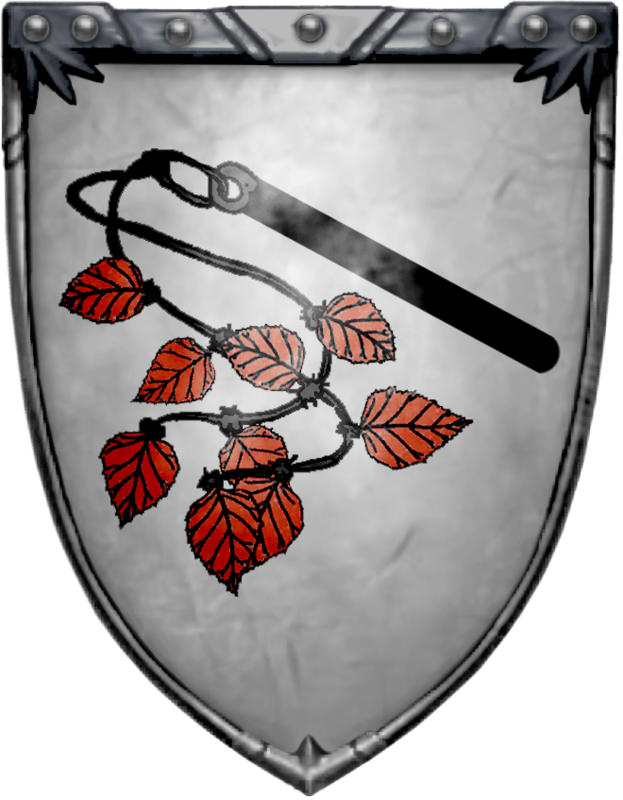 Once a bitter rival of House Harlaw, they now serve their conquerors as vassals. 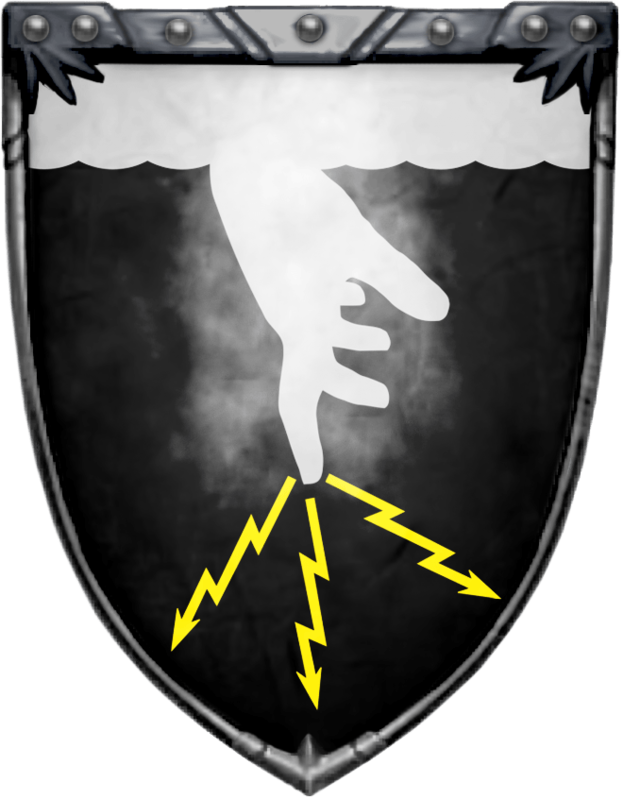 Their sigil is the cloudy hand of the Storm God, rendered in pale grey with yellow lightning flashing from his fingertips, presented on a field of black. House Merlyn makes rules its demesne from a towerhouse that sits above the village of Pebbleton. 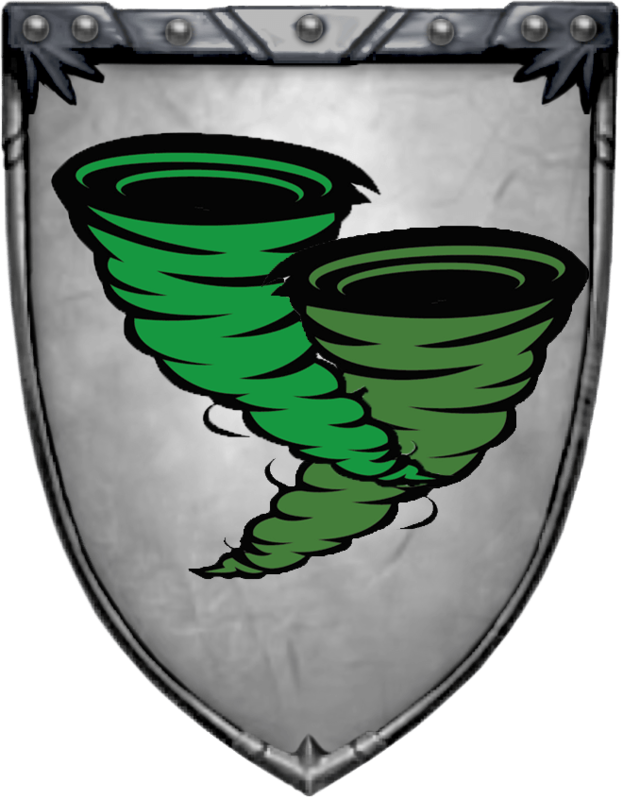 Their sigil is a green, intertwined waterspouts on a field of white. House Myre is a minor house with lands on the isle of Harlaw. 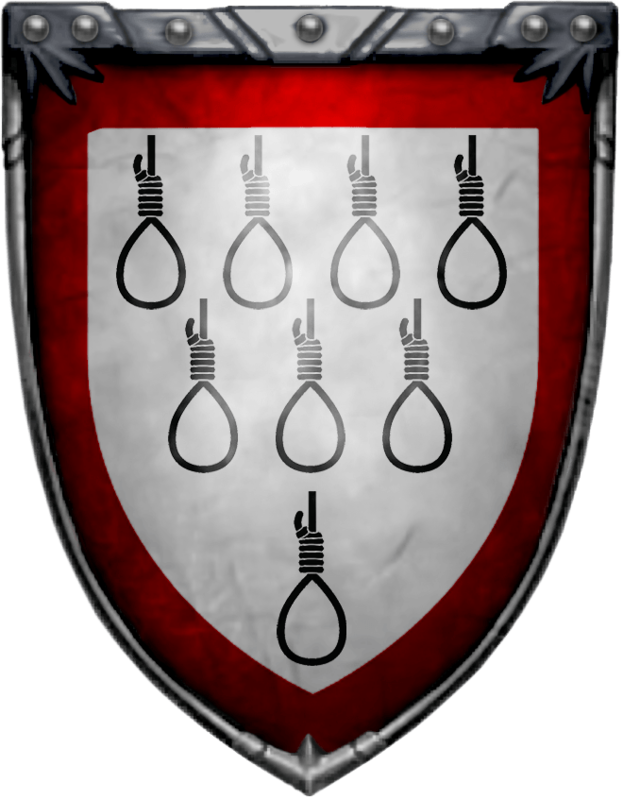 The members of House Meyre were once responsible for seeing ten men hanged in one day, a feat they saw fit to memorialize on thier family device. They once thought to challenge the Harlaws for supremacy of Harlaw Island, but the attempt was quashed, and the Myres were reduced to the status of vassals as a result. Their sigil is ten black nooses, 4-3-2-1, on a field of white with a blood-red border. 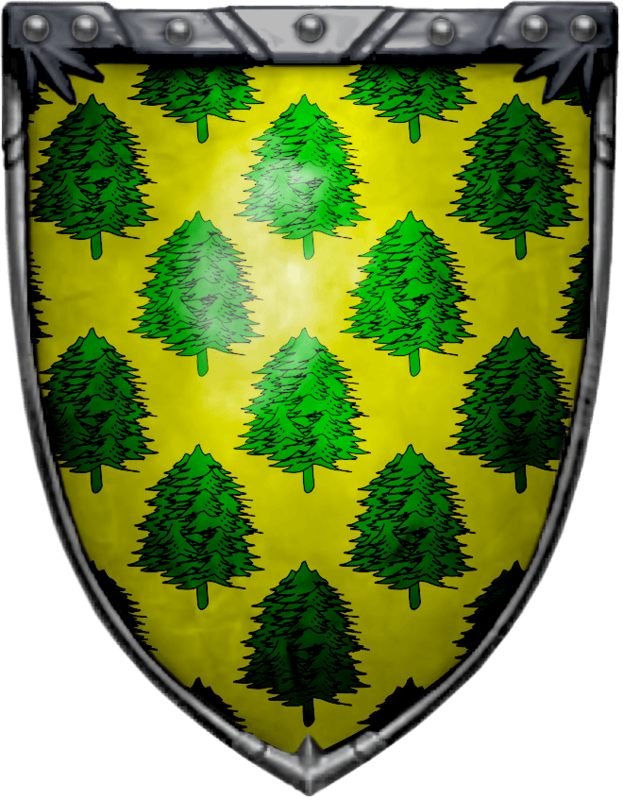 Their sigil is a dark green pine trees bunched together on a field of yellow. House Saltcliffe controls the entirity of the smaller of the Iron Islands not surprisingly called, Saltcliffe. 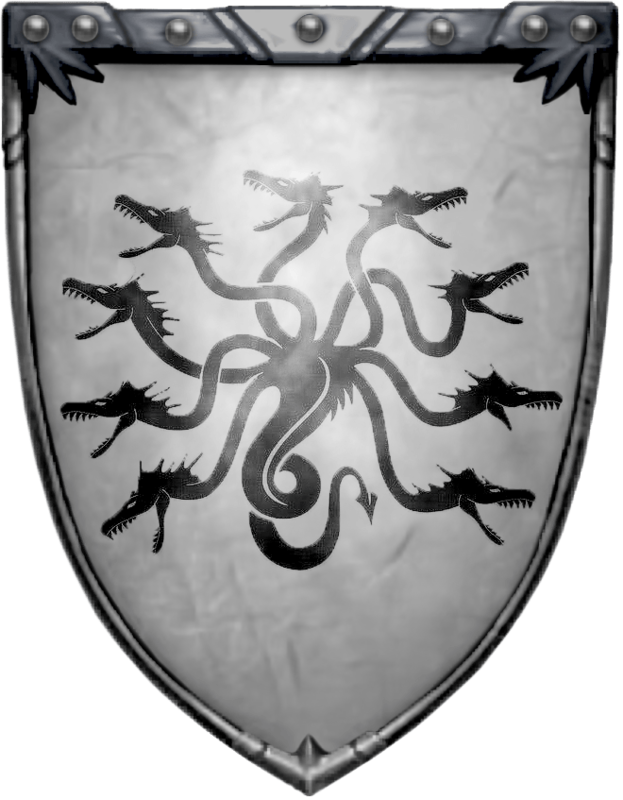 Their sigil is a nine-headed serpent, black on silver. 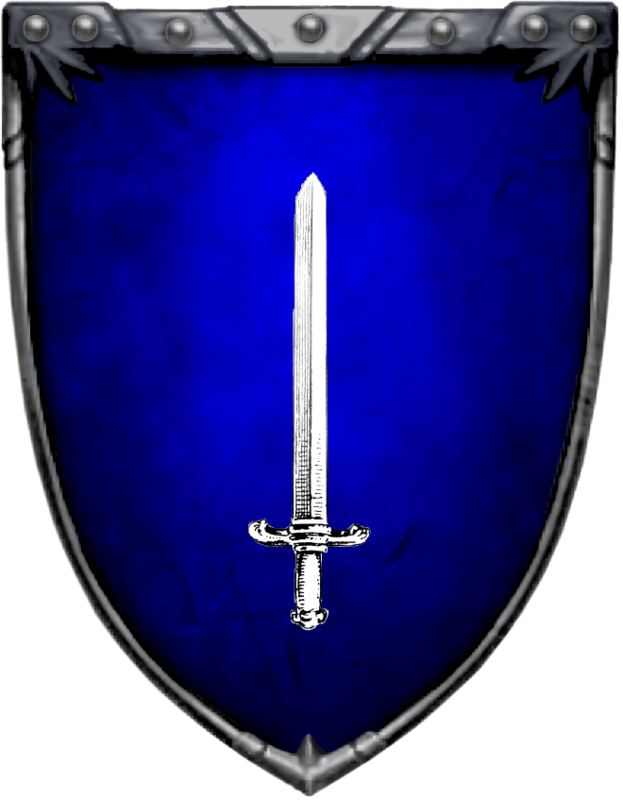 Their sigil is an iron knife on blue. The head of the house of this family is called The Sparr. Family genetics illustrate that beauty is not often found in the harsh environment of the Iron Islands. As they are known to have watery eyes, tremulous voices and what is considered harshly but fairly put; hatchet faces. 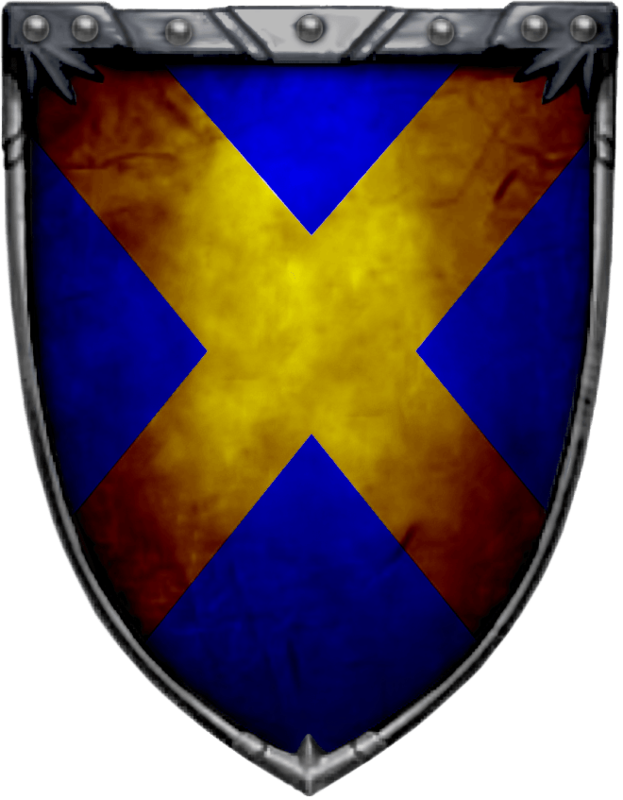 Their sigil is an oak saltire on blue. Whomever is head of house is simply known as The Stonehouse. Their sigil is a black brazier on a grey masonry field. 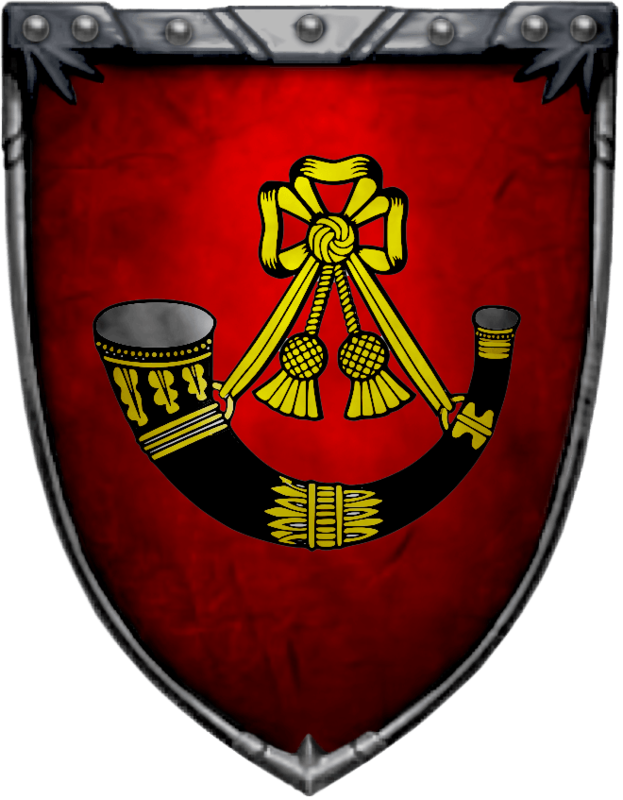 House Stonetree are sworn to House Harlaw.They have considerable holdings, many ships, and fierce warriors, but they kneel before the scythe. 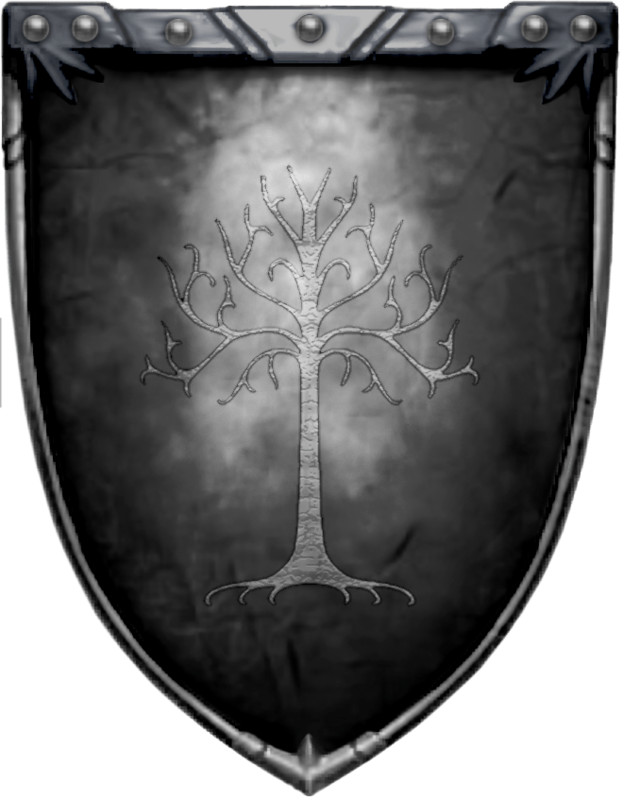 Their sigil is a grey stone tree, devoid of leaves, on a black field. House Sunderly lays claim to the small island of Saltcliffe. 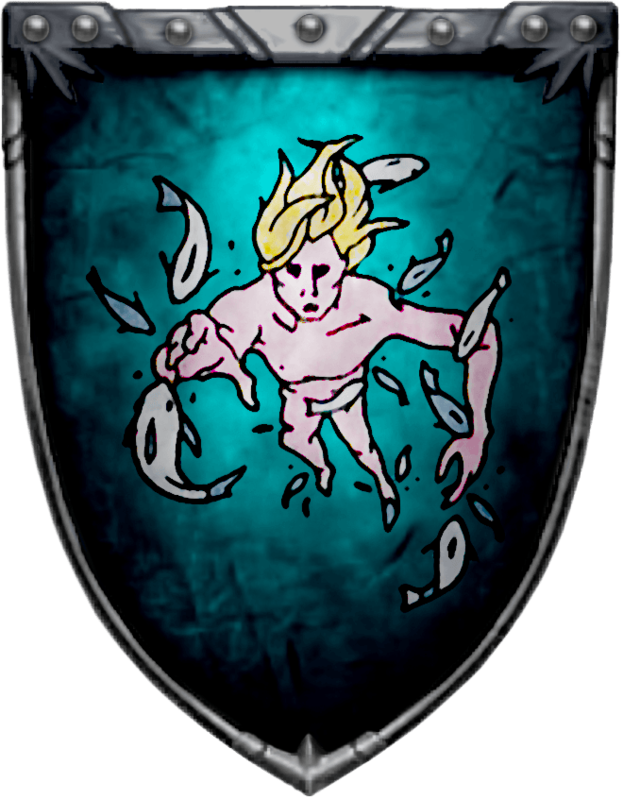 Their sigil is a pale pink drowned man, hair streaming upwards and fish nibbling at his limbs, floating upright on a blue-green field. Their sigil is a scourge of red and black nettles on a white field. The Volmarks are another house on Harlaw who control large parcels of land. They have large holdings, numerous ships, and fierce warriors. All sworn to House Harlaw. Their sigil is a black leviathan on a sea of grey. On the island of Pyke House Wynch has their seat in the town of Iron Holt. 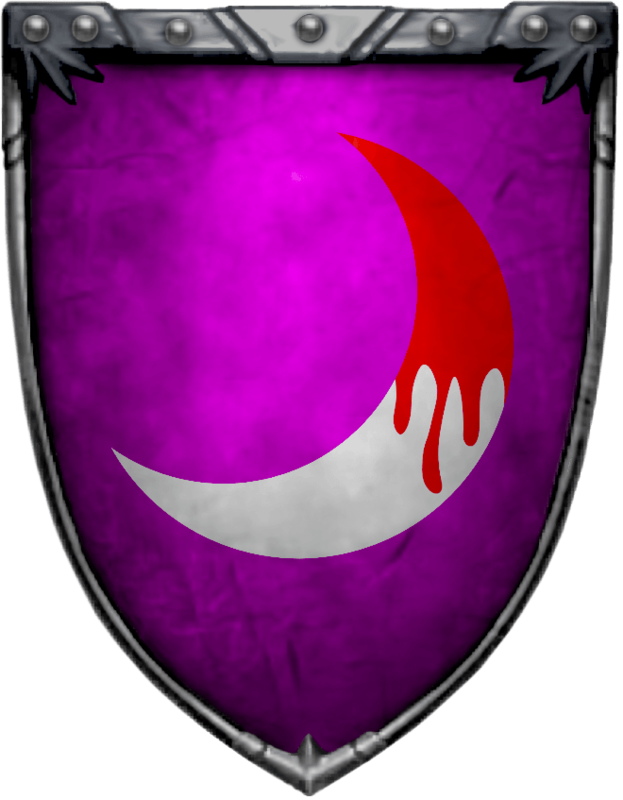 Their sigil is a bloody moon on a field of purple.